"The lead singer has a great raw and pure vocal, he has a lot of vocal power inside him"
Three piece band from Lancashire creating the biggest and boldest sound. With their combination of Folk and Punk-Rock and Powerful melodies and catchy riffs, they are the band of 2017. 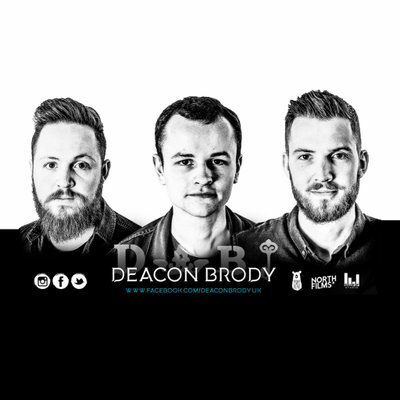 Deacon Brody, formed in November 2016, is a British Rock band from Lancashire, in the North West of England. Composed of Jayke Cox (guitar, lead vocals), Joe McManus (bass, vocals) and Danny Loftus (drums, vocals). An eventful first year has seen them appear on tour with Misfires, play sold out Manchester shows and release their Debut EP "Hey To The River" and " Concrete Rhythms available now on Spotify and all major platforms.